From Eden to Tweed Heads, the NSW Coast has many delights to explore. From charming coastal resort towns, sleepy fishing villages, stunning bays, riverways and harbours, green national parks and scenery. Backed by the Great Dividing Range, mountains that extend from Victoria all the way to Queensland, the relatively narrow NSW coastal strip has numerous beaches, most of them in idyllic settings. The weather on the coast region has a higher rainfall than in the west. Temperatures here are generally warmer in winter and cooler in summer. In the Tablelands, the plateaus of the Great Dividing Range, temperatures in winter can be much cooler, with snowfalls every year in the southern Snowy Mountains. There are even occasional winter snowfalls in the Blue Mountains (Sydney) part of the Great Dividing Range, to as far north as the New England Tablelands. Map of New South Wales. 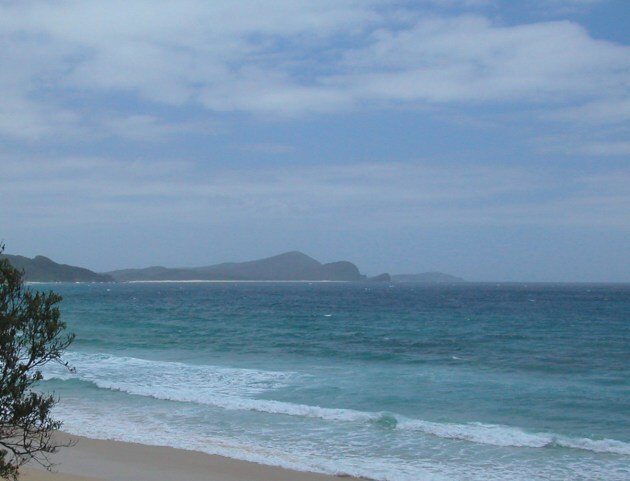 The coastal regions of NSW is divided up into the Illawarra and South Coast regions to the south of Sydney. Greater Sydney itself stretches from Picton in the south to the Hawkesbury. The Central Coast, an hours drive north of Sydney has gorgeous waterways and pretty beaches. Further north, is the Hunter Valley, Mid North Coast and the North Coast. The Northern Rivers is on the border of Queensland and NSW. The Princes Highway part of the National Highway 1 (which circumnavigates the island nation of Australia) follows on from the border of Victoria through the South Coast NSW. The South Coast itself is divided up into the sub regions of Shoalhaven, Eurobodalla and the Sapphire Coast, each with their own attractions and charms. Another place worth exploring here is just to the west: Kangaroo Valley NSW. This pristine lush green valley is home to protected species of Australian plants and animals and heritage buildings. The South Coast NSW - Enjoy the beaches and pristine bushlands as well as fine gourmet dining, art galleries, antique shops, fishing and watersports activities of the South Coast. There are a number of islands off the South Coast, most are protected island nature reserves, though there are some you can visit. Islands on the South Coast NSW. Just to the south of Sydney and north of the South Coast is the beautiful Illawarra Region, with Wollongong as its commercial centre. Glorious long ocean drives with pretty beaches along the way. See more about Illawarra NSW. Wollongong is a cosmopolitan coastal city and university town. Wollongong Tourist Information - Places to Visit. Just north of Sydney is the Central Coast and the Hunter Valley. 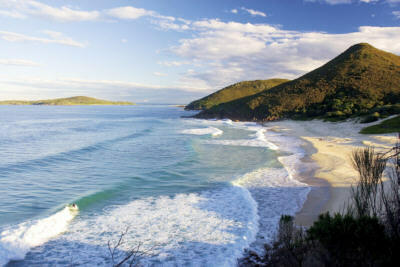 The Central Coast has The Entrance, Avoca Beach, Forresters Beach, Ettalong Beach, Bateau Bay and Port Stephens. Any of them is a perfect place for a stopoff on the NSW coastal route northward. More about the Central Coast of NSW. The Hunter Valley is renowned for its wines and wineries. There is also plenty to do here and a lot to explore but the excellent wines and gourmet wines within driving distance of Sydney make this a very popular visitors destination, as it has been for many years. More about the Hunter Valley, NSW. Perfect mid way stop for any Sydney to Queensland drive, this beautiful region offers glorious beaches, green fertile hinterlands and the stylish comforts of the resorts of Coffs Harbour Coffs Region NSW. Love the sun and surf lifestyle? Tucked away between the Hunter Valley and the North Coast is the Macleay Valley - This is a great holiday destination, with plenty of things to do for everyone. Macleay Valley NSW. The North Coast, you’ll find, is perfect for a grand seaside holiday. Explore the coastal rainforest walks, relax on a secluded beach, take in a whale watching cruise and sample sensational food. North Coast NSW. On the Queensland border, the Northern Rivers has Cape Byron, 37kms of untouched coastline and stunning national parks with World Heritage listing. Northern Rivers. Interested in trying a working holiday in Sydney or elsewhere in Australia? Find out more here Australia Work - Jobs. 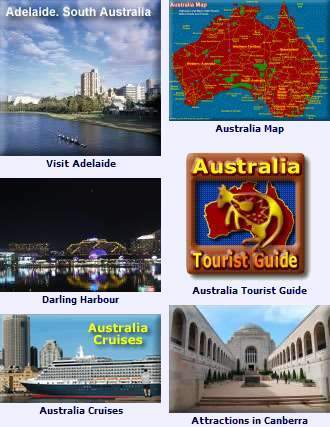 Sydney and accommodation throughout the state - Hotels in Australia. Find NSW Australia Hotels Hotels in New South Wales.